I am grateful to be back with you all again. Below is the link for a very special story. It is the story of my Mom and I. I shared it with all my clients via our newsletter and many of them suggested I posted on my blog. I really pray that it inspires and awakens everyone that reads it, to the reality that OUR HEALTH IS OUR RESPONSIBILITY. Please share it with all those that you love. Welcome to our weekly Letting Go blog. Hello again, I am super excited to share with you my complete vision of our Inner Health Circles. On October 19th we begin our second season of our Inner Health Circles. I am a big believer that Our Health Is Our Responsibility. During the years of my practice, I have seen many clients and a commonality with most is that they are tired of being sick, tired of being lethargic, tired of being constipated & bloated, tired of being on so many medications, just tired of not feeling good. Many want to feel better, more energetic, live a fuller healthy life, but do not know what to do. What I notice is that we are lacking knowledge on what and how to help ourselves. So, I was moved to create Inner Health Circles. Inner Health Circles are a vehicle of information. 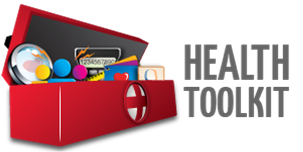 Our vision is to share knowledge each month so we can all create our own Inner Health Tool Kit. At every circle we will share 2 to 3 tools of knowledge and within 6 months you will have attained basic information, which you can use to take control of your OWN HEALTH. It is a program geared for individuals that are really interested in learning and are curious and ready to take action on their own behalf. Why and how to eat according to our blood type? What is a colonic and why have it done? Why use a Step and God step stool? Why is water vital to our health? Juicing or Smoothies, what is the difference? A blood audit? What is it and what are the benefits? Why is taking supplements important and necessary to good health? What is sugar really doing to our body? What are the real effects? Why is exercising/walking so vital to good health? Why use an infrared sauna? What is the difference from other saunas? Benefits of loving yourself and being positive. As you can see the topics are simple but important. Many of us want different results and in order to get different results we must take different actions. This is a great place to come and attain knowledge to do it differently. Our Inner Health Circles are for individuals that are ready and willing to commit to our 6 month program. The classes are FREE. We have limited seating so I highly recommend to call and reserve your spot as soon as possible, 951 684-3938. Come and join us to build a community that really cares about changing and improving our Own Health. Every 3rd Monday of every month from 7 to 9 pm. Feel free to share this information with your loved ones and friends.Our Inner Health Circles are also ready to go mobile, so if you know of a community center, churches or companies that would like us to come and share knowledge. Please call our office and let us know. We are ready to pay it forward some more. Hello hello, welcome to another one of our Letting Go weekly blogs. I am so excited & grateful to once again be here with you, I want to apologize for not keeping my word to post weekly. Life has been in full effect. Many transformational moments, many responsibilities, not always easy, joyful and fun, sometimes scary, painful, doubtful and even desperate. But as I look back at each experience, each gave me a great life lesson. Many times when I share or write an article, it always seems to come from the point of view of Letting Go. But today I want to share on Accepting & Embracing each moment. When I first became aware of this wonderful tool, gift, direction or suggestion. I was a bit overwhelmed, because this was a new concept for me. Today I am very excited about knowing this. I am grateful to know that even if I have a day that seems trying, challenging, disappointing, sad & sometimes even indifferent. I can start my day over again at any moment. And that the more I resist, the more it persists. So as I accept what is happening and embrace how I am feeling, then I decide consciously or sometimes unconsciously if I am going to park myself there for a while (and keep feeling all my emotions) or if I am just going let it go and move forward and change my channel and see my blessings instead of focusing on what I perceive as bad, tough and challenging. When I look back at my life like a movie, I see God’s Grace and Mercy in an abundant way. When I accept and embrace everything as is, then everything flows. The other day I was having a very challenging day, a full day of clients (which is my very favorite part of my day), had to pay bills, was given a last minute managing error information, had to go and check on Mom at home during my lunch. I tell you all this, to make a point. And because each day brings something different, some are full and some are kind of full. I totally believe and know that I will be given all that I need for me to handle my day. But sometimes my plate (better, my platter) feels so full, I then realize my flesh is weak, I notice that I can no longer think with ease. I might even be tired & hungry. As you can see, my day was on overdrive, but very calm, serene and focused in the colonic room. But outside the colonic room, my disappointment, my on overdrive stress, my frustration about the way some things were handled in the office was showing. Even though inside me, I knew that it was all GOOD, THAT IT WAS ALL GOING WORK OUT FOR OUR BEST. But I was struggling to be in total acceptance and was not really embracing all the good that was present. At the end of the day, this beautiful soul that is our office manager, had the courage to write down her feelings about what had transpired in the office, humbly apologized for any error on her part, and also reminded me that I had to remember that the enemy was working to come in between us to cause division. At that moment it was as if a brighter light was turned on. The moment I read that, it diffused all my feelings of stress, my tension & frustration. All I did was bring myself back to NOW, reminded myself that Jesus’ plan for me & Inner Health Care Colonics is perfect (this is my personal belief). And I ended up having an amazing evening. It really amazed me the power that Acceptance and Embracing has in our emotional body, which affects our spiritual body, which then manifests in our physical body. I am beyond grateful for each of our Inner Health Care Colonics staff. Who are willing and are presently working on their health of body, mind and spirit. And also grateful for our externs from UEI College and North West College, for being part of such leaning environment. Thank you for encouraging me to be better every day. For inspiring and reminding me to come back to NOW. The present is our only reality. Hope you have an amazing week. Filled with precious and transforming moments. Take your journal out and begin writing, each of us has a story to tell. This week we are going to speak about getting different results. In order for us to receive different results we must take different actions. Letting go of many I have to’s. In my life and in my practice I notice something, that as humans we are challenged with letting go of the things we think we should do, have to do, or have been told we have to. In my journey of life, I have had to really get honest with myself. I, as many of you, wanted good results in my life. But one thing I noticed was that I was duplicating what my parents or ancestors did, not that they were bad things or bad people, but it was not the results I was aiming to achieve. I got some great advice from one of my best health advisers, Dr. Antonio Calzada from Tijuana Baja California. He told me to pay close attention to what he was going to share with me, if I really paid attention, it could change my whole life. He said “If you want to get different results, you have to take different actions & make different decisions than your parents or ancestors have”, he said “You have to do it all backwards” He said if I did what they did, I would get what they got. It has been one of the best advices I have ever received. So, I took his advice and began to consciously live my life different. I began to consistently take care of my health at the age of 36. Getting colonics done regularly. Learning more about eating healthier (now eating according to my blood type), started seeing counselors, went to Al-Anon meetings regularly (for family of alcoholics), started writing on my journal. As you can see I began to do many things the opposite as my parents had done. Some times I got criticized, critiqued, judged and sometimes made fun of. ONLY because I was stepping out of our NORMAL way of eating and taking care of our health. I began a journey of prevention and not of reaction in regards to my life and health. I want to encourage everyone that is reading this blog to Look at your life, review what areas in your life you would like to get different results, get honest with yourself, be willing to do things differently and begin getting different results which will enhance your life & your health. We would love to hear your success stories. Feel free to share your story with us at innerhealthcare@gmail.com and let us know if you are ok with us sharing it on our blog. Today is another day filled with many opportunities in which we will experience many letting go moments. Today I am going to Let Go a bit more of the fear of my writing being judged. I don’t even understand that fear, but it is a reality in my story, but today I choose to let it go even more, because even if it is being judged, it is all good. I just need that knowing to get to my heart and BAM! To share some of my pretty and not so pretty lessons. With a deep heart desire that some can relate and together WE encourage, uplift, inspire and love each other. Which will change our lives for the better. We will all live from the place of my Cup Runneth Over (Having more than enough). I want to encourage all that are reading this blog. To begin to journal, I believe we all have a beautiful story, I am certain each of our stories can inspire someone else. So, here is an idea. What are you struggling to Let Go? Why are you not able to move forward, what is holding you back, what can you not cannot Let Go Off? or what are you willing to Let Go more off. Share it with us. I can’t wait to read your story. Send it to innerhealthcare@gmail.com. My beautiful Ladies, (I say ladies, because I feel many more ladies will relate to this blog, but it is for everyone). I feel so moved to share my Wednesday’s story with you all. I am feeling excited, nervous & even a bit afraid. Being Bold sometimes means to share without fear of any judgement. It means sharing from a place of love and wanting others to experience the amazing moments one is being allowed to experience. A few years ago, I was beginning to feel a bit burned out in my practice, even though I LOVE what I DO with my whole heart. Doing it 6 days a week, month after month, year after year. I FELT I was being emptied more than I was being filled (you get me right). So, I did what I usually do, I consulted with my BOSS “MY GOD” and the gentle direction and guidance I got was “take a day off during the week”. I said what? God, but you know I am self employed, if I don’t work I do not make any money (as if he does not already know my life story). And in my mind I was thinking of all my overhead, etc. He then proceeds and asks me, then Who is your provider, yourself or me?, with a very puzzled look on his face. Of course I quickly realized that I was totally coming from sight and not by faith. So, I quickly replied of course it is YOU LORD, you are my provider. So, he says again “then take Wednesday off” and let me provide. “You just do what you really love on Wednesdays, only what you love and fills your heart and soul”. And from then on I have been taking Wednesdays off. I wish I could tell you that it was a very joyful experience from the very beginning, but it was not, it was so hard to be off on Wednesdays at first, Oh yeah! I forgot to tell you that I did not have another Colon Therapist working with me at the time, so I closed my office on Wednesdays to be off. I was so scared at times, but I knew that I had to press forward and be obedient, I knew in my heart of heart, that I had to be obedient and I also knew that after obedience comes blessings. So, I continued to only plan fun things on Wednesdays. Family time, time with friends, taking myself to a spa day, relaxing at home (playing some salsa music) while I clean my home. Being of service to those I love, like taking my Mami to lunch, or to a spa day). On Wednesday everything I do is heart and soul filling. Today, Wednesday is one of my favorite days of the week. I must tell you that as I sit here writing this Wednesday morning in the comfort of my home. Planning a day of healing with my family. We are going to have a Dr. visit us and bless us all with her gifts. We will love on each other, we will share many stories of goodness, we will eat healthy foods according to our blood type, we are going to get caught up with our life’s. I can only say “THANK YOU GOD” for the courage, the resiliency, the strength, the desire to be obedient, during the times that I was filled with fear, uncertainty & anxiety. Thank you for blessing ME with such great Wednesday’s experiences. On Wednesdays I get to practice loving myself, caring for myself, respecting myself, honoring myself and now I get to share these experiences with all of you, in the hope that you will see the possibility that you are probably ready to create your Wednesday. I am certain you are not reading this blog by coincidence. Maybe your Wednesday, will be a Tuesday, Friday or Sat, it does not matter the day, it only matters what we decide to do on the DAY. I can’t wait to hear of your DAY Experience. You can send your stories to innerhealthcare@gmail.com – Maybe one of your stories will be published on our Letting Go blog in the very near future. So, how does all this tie into Letting Go? Well I had to let go of my fear of not having enough, I had to let go of my need to make it happen, I had to let go of the need to be worried all the time. And in return I have received more love, peace, serenity, joy, rest, and enjoyment. I am blessed, We are blessed. Welcome to our weekly Letting Go blog – Since we are still in the month of May, let me continue acknowledging the amazing women in our lives. I woke up with this thought this morning “It’s time to let go being quiet about the great women in our lives.” As you can see, all of my May blogs have been about my Mother & those special women that have in one way or another impressed their presence in my heart and soul. My heart desire is that through this blog, we can get inspired to begin letting go more and more each day of all those thoughts, relationships, habits, eating patterns, values and principles that are not edifying us, growing us, or healing us. Let’s begin to adhere to all those habits, eating patterns, principles, values, relationships & thoughts that do lift us up, heal us, and change us for the better. Let’s begin to recognize the women that have been a great influence in our life, let’s begin to tell them & Show them how much they mean to us, while they are still here. If your special lady has already passed on, share with others the greatness she did in your life. It’s their legacy in us. I would love to read some of your stories about the great women in your life, feel free to email me at innerhealthcare@gmail.com or leave a comment, who knows; maybe your story will end up on our Letting Go blog. Since this is still May, I am staying on the Mother’s Day & Great women in our life theme. As we celebrated Mother’s Day, I allowed myself to dig a little deeper in my heart and soul. Who are the woman that would be on this list and why? Let’s write them down. So, if you are on this list expect to get an invitation from me very soon. My ex-Mother in Law “Matilde” instilled in me the following thought that is present in me always: “What ever you are going to do for and to those you love, do it while they are alive, show them how you care, show them how much you love them.” I believe actions speak louder than words. Cant wait to hear your stories, I am certain that they will be transformational. Its time to let go of procrastination, apathy, business, it’s time to release all the love, care, and gratitude we have for each of these women in our life. Hello again, I am not sure about you, but I feel that the beginning of the next month is coming sooner and sooner every month. This month is a very special month for most of us. As we get to celebrate our Mami’s, Grand-Mamis, Great-Grand Mami’s, and Great Great Grand Mami’s if you are so blessed to still have them here with you. Also for all of us that have lost any of these vital women in our lives, we get to celebrate the Amazing & Transforming memories we hold of them in our hearts. I must tell you that if you would have told me that one day I would be writing an article regarding mother’s day, I would have told you that I would prefer not to do it. But this is part of my journey, to continue to let go more and more of those old onion peels of my life. Why my previous comment? Because I did not have a great relationship with my Mom for many years. I was raised more with my Grandma “MaMa Maty” so I grew fonder, closer & loyal to her. She was the solid rock in my life. I owe so much of who I am to her and I must tell you that when she went to be with the Lord I knew she was in a better place and it was her time, but my world went totally out of balance. It has taken me a long time to be on solid ground again. Today I cherish all the moments, the hospital visits, the trips, the meals, the heart to heart talks I had with her & being by her side till she took her last breath. I am so grateful that I always made time to spend time with her, no matter how busy my schedule was. I have only good memories with her. She is one of the best mentors I have had in my life.Now, lets fast forward. Today I am experiencing a relationship with my Mother like never before. I once heard at an Al-Anon meeting “Don’t leave before the miracle” and today I know what that means. I have stayed on course, doing what I am supposed to be doing. Taking care of myself, my husband, my kids, my clients. Living on purpose. And over night, the need to care for my Mother arose, and I felt guided to step up, not really knowing what this entailed. The story is very long if I give you details, so let me give you a summary. I brought her to my home with the blessing of my loving husband 8 weeks ago – with Hospice care (a great organization) on many narcotics due to her constant pain all over her body, her diagnosis was a stroke and chronic fibromyalgia. I began feeding her according to her blood type, juicing according to her blood type, giving her basic nutrition from New Spirit Naturals products – Love, Care, Understanding, sometimes tough Love (when I tell her she cannot eat this or that), Encouragement to take control of her own health. And must I tell you all, that her improvement, her transformation is impressing so many of us. The Hospice nurses are so shocked at her progress for the good, her Hospice care giver, the Hospice Social Worker, Her husband, all of our Family, my colleagues. I am immensely grateful to God for allowing me to walk this experience with my Beautiful Mom. I am leaning that she is a very Unique being, that she has lots of wisdom, Love and Knowledge & a desire to learn more. I am enjoying every moment we have together. I thanked her the other day for allowing me to practice on her all that I have learned.Life is real journey. My desire is that this Mother’s Day you allow yourself a moment of inward reflection – How is your relationship with your Mom, have you opened your heart to let your Mom see the real you, have you helped her in all the ways that you can, have you spent time with her, if today was the last day of your Mom’s life or yours would you have any regrets. I really pray that this small blog can inspire you in a by fold way. One that you realize that Our Health Is Our Responsibility and that it is US who have to take different actions to get different results. Begin by taking care of yourself first, then you can help your neighbor, your family, your friend. Second, that you realize that time is precious, that life is short and that as my Mother in law said to me all the time, what ever you will do for me and with me, do it while I am Alive. To all of you that are Mamis, I wish you all an amazing Mother’s day. Make it an incredible Month. I cant wait to hear your success stories.On a final note, I must say that I am so grateful to be the Mom of 3 beautiful grown children and for my beautiful grandchildren. I love being their Mom and Nani. Another Letting go Blog – Letting Go Can Open New Doors. This Blog will be a bit different, it is a dual blog. Yes, you will get our interview with Maria Lopez from Yogiando and the WHY I am using it as my letting go blog. First I must say that I am very grateful to Maria Lopez from Yogiando for choosing us for her interview regarding Colon Hydrotherapy. I totally feel she was divinely led to come to our office, since she came all the way from Santa Barbara which is 160 miles away from our office. God’s ways are not our ways. Maria could have gone anywhere in Santa Barbara or Los Angeles, but she came to Inner Health Care in Riverside, CA. Maria and I are very excited to put this information out in both languages, English/Spanish, knowing & trusting we are paying it forward to our communities. That this knowledge will help many become aware and educated & begin to take responsibility for their own health. I also want to invite you to follow Maria on her blog www.yogiando.com, she is very passionate about educating in the community. So, why am I sharing this interview as part of my Letting Blog. Because this blog is about me sharing and being more transparent on the subject of Letting Go. And I must be honest with you all, I am having to let go of the fear of being more open and verbal of my opinions in my field of work “Colonics”. There is a part of me that is frightened of criticism, judgment, disapproval or dislike. I know and am very aware that others opinions does not change my purpose, my destiny, my focus or my determination. But it is part of being human to feel all these emotions. I am becoming much more aware of how much I have had to let go and still am letting go of all these thoughts & fears in order to grow and become who I am. To fulfill my purpose and to live in my heart desires it is a must for me to continue to Let Go. As a colon hydro therapist this is what I encourage my clients to do in their sessions and invite them to continue to do so in their daily lives. The more we let go, the more we can let go of and grow. When we let go of issues in our mind, body or emotions our whole being begins to shift into a place of peace, calm & release. It is then that we can begin to experience more healing, transformation, invigoration, better energy, joy & peace. An overall sense of well-being. My heart desire is that this blog can encourage you or entice you to begin your Letting go Journey. I also pray that this interview regarding Colon Hydrotherapy can educate you enough on the benefits of cleansing your body from inside out. For me, Colonics has been a life saver. This interview is my opinion ONLY. I don’t claim to be the know it all on colonics, but what I am very certain about is that I am focused, passionate and determined that each client have the best colonics “letting go experience” when they visit our office. Enjoy our interview and please share it “Pay It Forward” to anyone you know that would benefit from this information. Maria: How long have you been doing colonics? Cece: I have been doing Colonics since October 2003. Maria: How did your journey start? Cece: My health journey began as I awoke to the reality that my health is my responsibility, after I had a mild stroke at the age of 36. It was a real awakening. No more time to waste. After my stroke I went into a real bad depression and a good friend took me to an amazing homeopathic Doctor in Tijuana, his name is Dr. Antonio Calzada he was very clear with me, he told me I had chronic congestion in my colon and that if I did not clean my temple “my body” from inside/out. I would never be able to heal my body. That I had to first remove all the old crap I had in my colon in order for my body to begin its self healing process. I am so grateful for that clear direction that I received. Maria: Why should people include colonics in their regimen to a healthy lifestyle? Cece: Very simple. We need colonics because we need to remove the old “oil” “old crap” “old poop” that has been inside for sometime. As we do with our vehicles – we take them in for an oil change every 3,000 miles, they first remove the old oil before they put in the new one. It’s that simple – Good health begins from inside out. Maria: How many colonics are recommended yearly? Cece: We are not allowed to recommend, it would be considered as prescribing. But what I can tell you is that it depends on the quality of health you want to achieve, and also what ailments you are dealing with. We see the best results with our clients, when they get 3 sessions done in a period of 1 week. Most of our clients experience lots of good changes, you can read more on our “client testimonial” tab on our website, and there are some wonderful stories with excellent results. We also see some clients that come in once a month for maintenance, some every 3 months and of course those that only return when they are in trouble again. It depends on the client’s goal. I personally get a colonic done very month and when I go on vacation, I get 3 done in one week right after I return. Maria: What benefits does colonics treatments have in your health? Cece: In my personal opinion as an individual who has been getting colonics done on my body monthly for almost 20 years. I can tell you that my health is better today at 55 than it was at 36. When I began I suffered migraines, cystic acne, frequent yeast infections, severe constipation, and over weight. All of those symptoms have subsided. As a colon therapist I can tell you, I see my clients health change in front of my eyes, after a few of their colonic sessions this is what they share with me; they can poop better, more of it and more often, they can sleep better, they can think better, they seem less depressed, they feel more hydrated & happier. Over all I see a variety of health benefits. Maria: What is the percentage of Latinos who do colonics? Cece: The percentage of Latinos that get colonics is very low; the Latino community is in dire need of education on the importance of taking care of our Colon and our bowel movements patterns, that all this is VITAL to improving our own health. Maria: What are the components of a Healthy gut? Good amount of Digestive Enzymes to break down our meals properly. Maria: How should clients prepare for their first treatment? Cece: The clients need to prepare themselves for their first appointment by 1st) making sure they schedule their appointment when they have a good 1 ½ hr of relaxed – down time, don’t make their appointment if they are hurried. One of the most important components to a great session is relaxation, 2nd) do not drink to much water at least an hour before their session, 3rd) do not have a heavy meal before their session, 4th) come with an open mind, knowing that your are taking a positive action towards improving your health from inside out. Maria: What should they do pre & post treatment? Cece: They should prepare for their session to the best of their ability, some people fast, others go on a juice cleanse. For sure as I mentioned on your previous question, they should not eat a heavy meal just before their session or drink a big amount of liquids at least an hour before their session. Post session – It is a great idea to have a salad in a bottle (veggie juice) or have a meal based on their blood type. Also it is important to listen to their body, some clients feel like they need a nap, others want to go run. Listen to your body and honor it. Cece: This is such a regular question. And the answer is No, colonics do not hurt. The client does a self insertion of the small tube, it is very easy to insert, all we need to do is relax as much as possible. Sometimes if the client has lots of gas in their colon due to constipation & dehydration the client can feel a little bit of cramping during their releases, but the moment the poopy & gas passes the discomfort is gone. Most of our clients describe their sessions very relaxing, gentle and easy. Maria: What does the Latino community need to do to educate themselves in colonics as a way to start them in a healthy lifestyle change? Cece: The Latino community would greatly benefit by having much more knowledge on the benefits of cleansing their colon via Colon Hydrotherapy, I believe the Latino community needs to attend classes, workshops, reading blogs regarding Colonics, this way they can become responsible and able to enhance their own health to the next level. Otro dejar ir Blog– Al Soltar se nos puede abrir nuevas puertas. Este Blog será un poco diferente, es un doble blog. Sí, usted obtendrá nuestra entrevista con María López de Yogiando y el porqué lo estoy usando en mi blog. En primer lugar debo decir que estoy muy agradecida a María López de Yogiando por elegirnos para su entrevista de Hidroterapia de Colon. Siento que ella fue divinamente conducido a venir a nuestra oficina, ya que ha venido desde Santa Bárbara que está a 160 millas de distancia de nuestra oficina. Los caminos de Dios no son nuestros caminos. María podría haber ido a cualquier lugar en la ciudad de Santa Bárbara o Los Angeles, pero ella vino a InnerHealth Care en Riverside, CA. María y yo estamos muy emocionadas de poder compartir esta información en ambos idiomas, inglés y español, sabiendo y confiando que estamos ayudando a nuestras comunidades. Que este conocimiento les ayudará a muchos para tomar conciencia y educarse y asi puedan comenzar a asumir la responsabilidad de su propia salud. También quiero invitarles a que sigan a María en su blog www.yogiando.com, ella esta muy dedicada a educar a la comunidad. Por lo tanto, ¿por qué estoy compartiendo esta entrevista como parte de mi Blog. Porque este blog es acerca de mí compartir y de ser más transparente sobre el tema de soltar “dejar ir”. Y debo ser sincera, estoy teniendo que soltar el temor de ser más abierta y verbal con mis opiniones en mi campo de trabajo “Colónicos”. Hay una parte de mí que todabia le teme a la crítica, al ser guzgada, a la desaprobación o disgusto. Sé que la opinion de otros no cambia mi propósito, mi destino, mi enfoque o mi determinación. Pero es parte del ser humano el sentir estas emociones. Cada vez estoy más consciente de lo mucho que he tenido que dejar ir (soltar) y aún estoy dejando ir todos estos pensamientos y temores con el fin de crecer y poder alcanzar ser quien deberas soy. Para asi cumplir con mi objetivo y proposito. En mi practica como Colon Hidroterapeuta esto es lo que yo les invito a mis clientes a hacer durante sus sesiones (a soltar) y tambien les invito a que sigan haciéndolo en su vida cotidiana. Cuanto más soltamos “dejamos ir” mas podemos dejar ir y es asi como podemos crecer mas y mas. Cuando soltamos los problemas de nuestra mente, cuerpo y emociones todo nuestro ser comienza a cambiar a un lugar de mas paz, mas tranquilidad y libertad. Es entonces que podemos comenzar a experimentar más sanación, mas transformación, mas invigoramiento, mejor energía, alegría y paz. Una sensación general de bienestar. De todo corazón deseo que este blog puede animar o incitar para que comiensen su trajectoria de soltar “dejar ir”. Tambien deseo que esta entrevista sobre Hidroterapia del Colon pueda educarlo lo suficiente sobre los beneficios de la limpieza del cuerpo de adentro hacia afuera. Los Colónicos para mí han sido un salvavidas. Esta entrevista es SOLO mi opinión. Yo no pretendo ser una sabe lo todo sobre colónicos, Pero de lo que SI estoy muy segura y determinada es que cada uno de nuestros cliente tengan la mejor experiencia de Colónicos “dejar ir, soltar” cuando visiten nuestra oficina. Disfrute de nuestra entrevista y, por favor, envielo a cualquier persona que usted crea que le beneficiariá esta información. Maria: ¿Cuanto tiempo tiene haciendo colonicos? Maria: ¿Cómo es que comenzo su trayectoria? Ceci: Mi trayectoria de salud comenzó en cuanto desperté a la realidad de que mi salud es mi responsabilidad, después de haber sufrido un leve derrame cerebral a la edad de 36. Fue un verdadero despertar. No había mas tiempo que perder. Después de mi derrame pase por una muy mala depresión y una buena amiga me llevo a un doctor homeopático en Tijuana, el Doctor Antonio Calzada, el fue bastante claro conmigo. Me dijo que tenia una congestión crónica en mi colon (intestino grueso) y que si no limpiaba mi templo “mi cuerpo” de adentro asía afuera, nunca podria sanar mi cuerpo. Que primero tenia que remover todo el excremento viejo que tenia en mi colon para que mi cuerpo comenzara el proceso de auto sanación. Estoy tan agradecida por tan clara direccion que recibí. Maria: ¿Por qué las personas deberían de incluir el tratamiento de colonicos en su rémigen a un estilo de vida saludable? Ceci: Muy sencillo. Necesitamos colonicos porque necesitamos remover el “aceite” “la suciedad” “el pupu” que ha estado ahí por algún tiempo. Así como lo hacemos con nuestros vehículos – los llevamos a un cambio de aceite cada 3,000 millas, primero le remueven el aceite viejo antes de ponerle el nuevo. Así de simple – la buena salud comienza de adentro hacía afuera. Maria: ¿Cuántos colonicos son recomendados por año? Ceci: No se nos permite recomendar, seria considerado una prescripción. Pero lo que te puedo decir es que todo depende en el tipo de calidad de salud que deseen alcanzar, así como también que tipo de enfermedades estas sufriendo. Nosotros vemos los mejores resultados con nuestros clientes, cuando tienen 3 sesiones en un periodo de una semana. La mayoría de nuestros clientes experimentan varios cambios positivos, puedes leer mas acerca de ellos en la sección de “testimonios de clientes” en nuestra pagina de internet, ahí puedes ver algunas historias maravillosas con excelentes resultados. Tambien tenemos algunos clientes que vienen una vez al mes como mantenimiento, algunos cada tres meses y claro algunos que solo regresan cuando tienen problemas de nuevo. Todo depende en las metas del cliente. Yo personalmente tengo un tratamiento de colonico una vez por mes y cuando salgo de vacaciones, tengo 3 en una semana inmediatamente después de mi regreso. Maria: ¿Cuáles son los beneficios que los tratamientos de colonico tienen en tu salud? Ceci: En mi opinión personal, como un individuo que ha estado tomando tratamientos de colonicos cada mes por casi ya 20 años. Te puedo decir que mi salud es mejor ahora a la edad de 55 años que cuando tenia 36. Cuando comencé con los tratamientos, sufría migrañas, acne quistico, infecciones vaginales frecuentemente, estrenimiento muy severo, y sobre peso. Todos esos síntomas han disminuido. Como terapeuta de colonicos te puedo decir que yo veo como cambia la salud de mis clientes enfrente de mis ojos, después de unas cuantas sesiones de colonicos esto es lo que ellos comparten conmigo; pueden defecar mejor, mas y mas seguido, pueden dormir mejor, pensar mejor, parecen menos deprimidos, mas hidratados, y felices. En general yo veo una variedad de beneficios para la salud. Maria: ¿Cuál es el porcentaje de Latinos que tienen tratamientos colonicos? Ceci: El porcentaje de Latinos que reciben tratamiento de colonicos es muy bajo; la comunidad Latina esta en extrema nececidad de educación en la importancia del cuidado de su colon (intestino grueso) y sus patrones de movimientos intestinales, que todo esto es VITAL para mejorar nuestra propia salud. María: ¿Cuáles son los componentes de un intestino saludable? Una buena cantidad de enzimas digestivas para poder digerir nuestros alimentos apropiadamente. Maria: ¿Cómo se deben preparar los cliente para su primer tratamiento? Ceci: Los clientes necesitan prepararse para su primer cita 1º) asegurándose de que hagan su cita cuando tienen suficiente tiempo para poder relajarse, tener approximadamente una hora y media de tiempo para ellos mismos, no es aconsejable hacer su cita cuando tengan prisas. Uno de los componentes mas importantes para una buena sesión es el relajamiento. 2º) no beber demasiada agua por lo menos una hora antes de su sesión, 3º) no comer pesado antes de su sesión, 4º) venir con una mente abierta, sabiendo que están tomando una acción positiva hacía el mejoramiento de su salud de adentro hacia afuera. Maria: ¿Qué es lo que se debe hacer antes y después del tratamiento? Ceci: Deben de prepararse para su sesión dentro de lo mejor de sus habilidades, algunas personas ayunan, otras se mantienen en una purificación con jugos. Seguramente que mencione en la pregunta anterior que no deben de ingerir una comida pesada antes de la sesión, o tomar una cantidad excesiva de líquidos por lo menos una hora antes de la sesión. Despues de la sesión – es una muy buena idea el comer una ensalada liquida (jugo de vegetales) o tener una comida basada en su tipo de sangre. Tambien es importante escuchar a su cuerpo, algunos clientes se sienten como que necesitan una siesta, otros quieren correr. Escuchar a su cuerpo y honorarlo es lo mejor. Maria: ¿Duelen los tratamientos de colonicos? Ceci: Esta es una pregunta muy frecuente. Y la respuesta es NO, no duelen los tratamientos de colonicos. El cliente se auto inserta el pequeño tubo, es muy fácil de hacerlo, todo lo que necesitamos es relajarnos al máximo. A veces si el cliente tiene mucha flatulencia (gases) en el colon por estrenimiento y deshidratación, el cliente puede sentir un poco de colico durante el proceso, pero en el momento que el excremento y la flatulencia (gases) pasan, el malestar se va. La mayoría de nuestros clientes describen su sesión como muy relajada, ligera y fácil. Maria: ¿Qué es lo que nuestra comunidad Latina necesita hacer para educarse en cuestión de los colonicos como una manera de comenzar un cambio de estilo de vida saludable? Ceci: La comunidad Latina se beneficiaria muchísimo al obtener mas conocimiento en los beneficios de limpiar su colon a traves de los tratamientos de colon hidroterapia, yo creo que la comunidad Latina necesita atender clases, talleres, leer blogs acerca de los colonicos, de esta manera ellos mismos se responsabilizan y tienen la habilidad de mejorar su propia salud y llevarla a un nivel mas alto. Another Letting Go Chat – No Limits! Today’s blog is very special. It’s Wednesday, my favorite day of the week. I got to spend time with one of my favorite and very special mentors, Dr. Milam. I received lots of knowledge, wisdom and direction as I do every time I get to speak to him. I must share with you one of the biggest gifts that Dr. Milam has shared with me. Dr. Milam – Cece, Dr. D. always said to me, “Larry if there were no limits -yeah, no limit of time, space, finances, distance, location, no limit of anything – what would you create?” And I would say, “But Debbie, what about this or that?” and she would remind me that there are no limits except those that you set for yourself. Then there was a pause of silence – I was speechless – it was a lot for me to try to comprehend. Dr. Milam – Cece, if I were to ask you, if there were no limits, absolutely no limits what would you create? Cece: Did you say, no limits Dr. Milam? Cece: Ouch! (as I held my head) Ouch my brain is hurting; you are making me stretch my brain like never before. And then, he changed the conversation. But my life had been changed FOREVER, I had never had anyone tell me that there are no limits, except those that I set for myself by my belief in myself. It has been a very challenging process, because I was raised with lots of limiting mentality. Not because I had bad parenting or grand-parenting, but because that is just how they were raised. I was moved to share this experience because in my colonic practice I see daily how troubled, bloated, constipated, unhappy, sad and plainly miserable so many people are living their lives. Most of the time it is because we are resisting to change any part of what we do in our routine life, and believe me I totally understand not wanting change. On a daily basis I have to make a decision that change is OK and necessary for my growth and that it is better for me to embrace it than to resist it. When I finally began to grasp what Dr. Milam had gifted me with, I began to tell God that I was willing to be obedient and remove all the limits in my life – those limits I had set up for myself and that were not working in HIS divine plan for me. And can I tell you, that is exactly what has happened. Doors have been closed, colleagues & friends have been removed from my inner circle, some of my regular clients stopped coming for their regular colonics. A very blessed woman of God (whom I had never met in my life) came to my office to tell me that I had to remove some articles from my office. In my personal life, I went through some tough and rough patches. But I have had to be ok with all of that. It felt like if I was in the hallway just waiting for my next guidance and direction and it was not a comfortable place at all. Meanwhile I kept reminding myself, “There are no limits, there are no limits.” I was in total faith that I was going to be directed and that all those limits I had put up were going to just fade away, fall away and that my life was going to begin to change for the better. I had not doubt (most of the time). Suddenly, many more new clients started coming in, some new and some of my old colleagues started coming back into my life. A much better relationship with my spouse has re-kindled and I am learning that my job as his wife is to love, respect and uplift him daily no matter what. (Please, note that I said I am learning, not learned). This was shared with me by a very special earth angel that came into my life at the perfect moment in a perfect way. Business opportunities are opening up, more doors are opening up, my blog is growing, and my website is about to get a face lift. We are expanding, collaborating with other practitioners and authors to create a better and more effective Inner Health Care. We are planning a re-grand opening ribbon cutting ceremony in the very near future. There are no limits. I am not exactly sure what God’s Divine Plan is for me, but I am certain that there are no limits, that as Dr. Milam gifted this amazing reality to me. I pray that I can gift it back to you and as you begin your journey of Letting Go of your self created limits, you will also begin to experience a new life where there are no limits and you will begin to see some of the many possibilities that have been and are in your present life. When we keep our thoughts on what is True, Honorable, Right, Pure, Lovely and Admirable, we can be sure we are going the right way. And know there are no limits. Another Letting Go chat – Letting go = more relaxation and enjoyment! Today’s chat is very unique because today is very special and dear to my heart. Right now we have a bottle of champagne on ice in our room here at our very special and exclusive get-away. We are in Desert Hot Springs celebrating our 9th anniversary. We LOVE coming here to El Moroccan Inn and Spa. When you come to this magical place please enjoy it, relax and let yourself be transported. Give yourself the permission to do so even if ONLY for the day, and when you are here it’s a must you get a massage done by “Gloria”. When I began allowing myself to relax and be in the moment it seemed very challenging at times- even difficult, because I only knew to work hard and be tough. Little by little I learned to trust and let go more and more. And today I must say it sincerely. I give myself permission to enjoy each moment to the fullest. My desire is that by me sharing my own experience of letting go of my old thinking patterns, I can inspire you to do the same. I want to encourage you to allow yourself to believe that you are worthy, that you deserve it, that you desire it. I am certain you will begin to believe and know you deserve to relax, to unwind, to chill, to be pampered, to be loved. Since our last chat many lovely, loving, gentle, kind and challenging moments have occurred in my life. I must share that I would prefer not to go through more tight moments or narrow places, but when we decide to live a life of service it really means to live life differently. So here I am. Eternally grateful because everyday I am learning at a deeper level the meaning of Letting Go & Letting GOD! I am experiencing a new level of surrendering. It blows me away to look back and see that all these changes in my life began because I had a mild stroke at the age of 36 and a great friend took me to a great doctor in Tijuana, Dr. Antonio Calzada. He told me I had to begin by cleansing my temple from the inside out by getting colonics done. He directed me to begin with 6 sessions. I had no idea that by beginning to Let Go of my physical crap, all this would unfold. I believe Miracles can happen in our body, mind and emotional health when we finally Begin to Let Go! I am proof of that. So here is food for thought – where do you feel safe to start Letting Go? Let go of friends or family members that are toxic. And we can continue the list, but you get my point. So, today I want to once again encourage you to find that place where you can begin to let go and allow that change that you have been praying for, asking for, wishing for, and desiring for. I once heard that in order for things to change in our lives it must begin with ME. I am excited and looking forward to hearing how your Letting Go Journey is beginning or maybe this blog just reminded you to continue that Letting Go Journey that you have already started. Since our last chat, so many things have happened in my life, it would take me so many pages to share it all and I would probably bore you. So, let me share with one of my favorite ones. The One that I must share about is my Amazing Experience at our 25th I-ACT International Colon Therapy Association 2014 Convention. I knew that I had to be there, there was no doubt, and I just knew I had to attend. And I am SO grateful that I did as it was the BEST convention I have ever experienced yet. I went with an open mind, open heart, lots of willingness to be guided and directed through the whole convention, and of course that is exactly what happened! I connected and got to spend time with just the right ladies and gentlemen. Wow! Great fellowship, great classes, great conversations, great connection, great willingness to stay in contact and promote each other via the internet. We all know that there is no competition, we are each unique and special. And we each know it and are willing to be of service, by each of us, using our own gifts. I am more excited today about my profession than I was at the beginning, because today I know with certainty that colonics is so much more than poop. Every day I live many experiences with my clients and it confirms it again and again: That it is so much more than poop. And what does all this have to do with letting go? Well, I had to become willing to “Let Go” of my usual hang out groups; become willing to allow myself to be transparent with others than those I am already familiar and safe with. Sometimes in order to grow, we must become willing to let go of that, which we hold on to so tightly. Not because you want it gone, but because holding on too tightly does not allow any kind of flow. When we relax, we Let Go. So let’s relax and Let Go of all that needs to be gone in order for us to begin our transformation to wellness from the inside out. We eat 3 meals a day, in a week that is 21 meals, in a month that is 84 meals, in a year that is 1008 meals. If we have 1 bowel movement a day (the average person poops 2 to 3 times a week), but if we were normal “poopers” 1 a day, then we would have 365 bowel movements a year. So, just food for thought, where are the other 643 meals that we ate? Did we absorb all of them (probably not cause we are not eating easy to digest or absorb meals) or could it be that is why constipation, bloating & distention is out of control. Remember that Our Health is Our responsibility. We want to encourage you to research & get educated on the Importance of your digestive system. – Drink 1/2 of my weight in water a day. – Take the supplements that my body is needing. – Get colonics once a month or more often if I know that I have been bad or are I am sick. – Only hang out with people that infuse something positive in my life, and that includes family. Most of you would agree that life happens, right? Regardless of what we think should or how we would like it to happen, life just happens that way. At least that has been my experience. But what I have discovered is how I handle it, how I react, how I don’t react, is what really makes a difference on how I am able to flow with life or I fight and resist it. There is a saying that most of us have heard before: “Let go and let GOD”. Oh so much easier said than done, but so transformational when are able to do it. Yes, Let Go and Let GOD. When we realize in our heart and mind that the ONLY one we can change is ourselves. Its like putting on a pair of glasses, you begin to see life clearer. I personally have had many health challenges in my younger years: had a mild stroke at the age of 36, suffered severe migraines, severely constipated, cystic acne, depression, anxiety, colitis, severe hemorrhoids and ulcers. As you can see I was not doing well at all. Some of these were caused by my bad choices of foods as I was not aware then that what I ate affected my whole body. I was also not aware that what I think affects by whole body and mind. I was not consciously aware that we are body, mind and emotions. So, you can see how my whole being was out of balance. As I became aware of this, I began to make little changes in my choices of food, my way of thinking, letting go of situations that I really did not have control, letting go of relationships that were not good for me at the time, and I began to experience positive changes in my life and health. I began to understand that my body, mind and emotions can only be as good as I choose them to be. It felt like I woke up when I discovered this, I could see how I had been walking in my sleep. It has been amazing; it has felt to me like I discovered the well of knowledge, of health, of youth. Yes, our body & our health is OUR RESPONSIBILITY. We must become our best care givers to ourselves. Most of the time we are very good at taking care of others and we leave ourselves last. I am sure that many of you have traveled and when the fly attendant explains that if there is a change of pressure in the plane, an oxygen mask will be released. They highly encourage us that if we are travelling with someone needing our assistance, that we should first put the mask on ourselves and then on the other person. And that is precisely the point I am hoping to relay to you. First we must take care of our own body, mind and emotions and then take care of others. If we really get honest with ourselves, we really are not very good to others unless we take care of ourselves first. Here are few examples of how we can begin taking care of ourselves. Daily – make time to pray, read, meditate, and exercise. (Do all of these or the ones that are most important for you and your time allows) we must make time for ourselves daily or at least weekly. Make a conscious decision to become aware and educated on how to eat in a healthier way. Make this commitment to and for YOU. Surround yourself with people that uplift you, that encourage you, that can help you grow, that are exemplifying to you a better way. Have an Attitude of Gratitude daily; even be grateful for the trials (it is then when most of us are growing). God never forsakes us, HE is Faithful (IS MY BELIEF). Here are some places & events where you may begin your journey of letting go and learning new ways. Here you will get information on how important it is for your “Digestive System to be functioning well” in order to achieve wellness & also that it is more than POOP. Yes, we are body, mind and emotions. It all has to work together like an orchestra. Cece (me) is the facilitator. I will do my best to share all the tools and my experiences that have helped me to improve the quality of my health & my life. Here you will learn weekly on different subjects of nutrition, how good supplementation is important to improve and change your health, how does nutrition work and much more. Marie Lyles is the facilitator and let me tell you she is a passionate and focused young lady who is very eager to share all that has inspired and helped her transform her health and her life. Here you will have the opportunity to come to monthly classes on different topics. Robin Allen is the Director and Organizer; she always has great topics with great presenters. She is very passionate also about sharing knowledge to all who are interested to take responsibility for their own health. Alanon meetings (look for a meeting by your neighborhood) Alanon is for families and relatives when someone’s drinking is affecting your life. www.iealanon.org. Here you will find a group of individuals who in my opinion are extremely courageous and are very interested in getting better from inside out. For me it has been a life changing tool. Bible study at your church – Find a bible base church that you feel comfortable at. Here you will find an amazing guidance on how to better your life under the direction of Jesus. In my opinion and belief, it is the best way. Here you will get to surround yourself with ladies that are very willing and interested in improving their own lives, to move into the possibilities of a better way, a new way, to learn from each others challenges and achievements. A circle of girls that want to learn how to support and grow with each other. By receiving colonics you will begin to remove old waste from your body. Our body is a magnificent machine and when we take care of it and clean it from inside out, it will surprise us how amazing it begins to heal it self. As you can see you have many choices, find the one or the ones that resonate with you and for you. And begin your journey to wellness. I would love to hear your transformational stories. I am a big believer in paying it forward. Your story will inspire someone else, you can be sure of that. My prayer is that this blog has inspired you to awaken to the fact that Your health, Your life, Your environment, Your family situation, Your job, can all become fulfilling when we allow ourselves to Let Go and Let God, when we begin to make different, positive and healthier choices. It can only get better. If you Eat good, Think good, Speak good, Live good, your life will be good. Not perfect but yes it can be very GOOD. I was sharing this story with one of my clients the other day and she said, “That would be a great story for your blog!” So I am following her suggestion. A few years ago I went on a trip to Costa Rica. I had decided I was going to be adventurous! We went on a zip-lining trip and we went up and up and up – we were higher than the trees – even the palm trees. (Oh! I forgot to share with you that I was afraid of heights!) When we reached the platform from which we were going to begin our zip-lining adventures, I made the mistake of looking down and freaked out! I started having a panic attack; I was so frightened at that moment. Our tour guide reassured me that I was going to be ok, that all I had to do is trust them and let go. At that moment I had a huge realization that I was learning to Let Go and Trust at a different level. He assured me that there was another tour guide waiting for me on the next platform. I could not see him because of all the trees and it felt so scary to trust without seeing the other person. But I had to Let Go and Trust in order to allow myself to have this experience. So, you can see how this relates to our Letting Go Blog. I am sure many of us can relate to this story but in different scenarios in life. Example: sending your children to school, trusting they will be taken care. We don’t always see everyone that will be taking care of them, we just trust and let go. Allowing our teenage kids to start driving, trusting that they will follow our directions and then letting them go. When we get on a plane, we trust that the pilot will fly safely, we then relax, let go and enjoy our flight. When we get in our cars daily, we trust that we will get to our destination safely. We really get many chances daily to practice trusting and letting go. This applies even while having a colonic. I always encourage my clients to relax and allow their poop to come out. “What if it leaks all over?” “What if the tube comes out?” “What if I can’t?” These are some of the comments my clients make on their first session. And I, just like my tour guide in Costa Rica, reassure my clients to trust and let go, that it will work if they just Let go and trust, and about 99% of the times, they realize I was guiding them correctly. In life we really don’t have as much control as we think we do. I once heard that control is an illusion. If we really think about it, the only person you can control or change is ourselves. So, knowing this really frees us from lots of stress. The more we Let Go and Trust, the easier our life will flow. Daily in my practice, I see this be a success. I pray that once again this blog will encourage and entice you to begin to Let Go and Trust a bit more each day. Be gentle with yourself, be patient with yourself, especially if you are one that is used to holding on to everything very tightly. If we just become willing to Let Go and Trust, you will be surprised how little by little, Letting Go and allowing Life to flow, starts to become a new way of life. Feel free to write to us, let us know how this blog is helping you learn to Let Go. How letting go is transforming your health, your life, your relationships, and your job situation. Letting go is one of the biggest tools that I have learned to use in my life and why my life is so much better today. Colon Hydrotherapy is all about Letting GO. Today we will be talking about the importance of letting go of OUR OLD WAYS OF THINKING about EATING. Yes, it is vital that we understand & stay aware that if we eat badly, our body will respond badly. You could almost say this is common sense, right? The other day I had a client that sincerely told me that she knows that she needs to change the way she eats, but that she gets tired of eating well, she gets “bored” were her exact words. I can really understand her. But we really need to be very conscious that Our Health is Our Responsibility, that becoming healthier is going to take decision, determination & dedication. My grandma always reminded me that any thing worth it, was going to take effort. This is one of those things that are definitely worth it but I will not lie to you, it will take effort specially in the beginning. But I can tell you with my whole heart that it is WORTH IT. When you feed your body well, when you take care of your body, your body will begin to express its gratitude. When you eat well, you will feel well. None of this happens over night, but if you continue to make positive changes in your choices of eating & thinking you can’t but begin to see positive improvements. So, if you are one of those people that always skips breakfast, begin by making sure you make time to have a healthy breakfast every day. I begin my day with a green juice or a green smoothie every morning. Lunch, best choice would be to prepare your own meal, but if you need to eat out, make healthier choices – a salad, broiled or grilled instead of fried, veggies instead of starches. Dinner – again make choices that you know are leaner and better for you. You might be thinking wow this will get old soon, it will get boring. But how exciting is to know that if we continue to make bad food choices our bodies will become overwhelmed and will begin to show symptoms due to our bad choices?. Pretty clear wouldn’t you say? So, better food choices and in turn feel better, look better, think better is much more fun and exciting, don’t you agree? I see it daily in my practice. My clients that are coming in to see me are “younger” in age with serious constipation problems. Most of my clients when they begin their colonics are only having 1 to 2 bowel movements a week, and they are eating 21 meals a week, can you see how year after year of this, it can become a serious internal problem?. I was one of those people that only had 1 to 2 BM’s a week. I can tell you that my health was not doing well at all. At the age of 36 I had a mild stroke, had cystic Acne and serious Migraines, so I am a perfect example that if you make the decision & determination to make your health your responsibility and you stick to it, it can be done. I have better health at 55 than I did at 36. Yes, sometimes it can feel boring, sometimes it can get tiring, but when I think of what my options are. Eat anything and feel crappie – or eat well and feel well and enjoy better health; I think the choice is clear. I can assure you that with time eating well, making healthier food choices will become a normal part of your daily living. Once you know you got it, then once in a while you can cheat and have a bite or 2 of that favorite food that you know is not good for you. (Once in a blue moon only). I pray that you are ready to become responsible for your own health. Beginning today. Wellness is choice. & you are WORTH IT. Since we are celebrating Mother’s Day, today’s chat is in honor to my wonderful Mom! Our blog is about letting go, so I am sharing with you a very special letter I wrote to my Mom, after I realized that I have let go of lots old crap, resentments, anger & judgments. I felt moved to put it in writing and share with her. I am very grateful that I am allowing myself to let go more and more in all areas of my life. My heart and soul feels light because I know that the more I let go, the more I will grow in Love and Gratitude. This will benefit my body, mind and emotions. I pray my letter moves & encourages you to also begin to let go and who knows you might also right a letter. As a child I thought my Mom was Beautiful, Wise, Amazing, Hard worker, I wanted to be like her. And as I grew up I began to think I was much more wise and knew it all, specially during my teenager years, 20’s and 30’s – oh boy did I know it all, so I thought. During those times, my Mom did not seem very wise, beautiful, amazing and I did not want to be like her. I was looking at her weaknesses, deficiencies & bad habits. My Mom like any other MOM was doing her best with what she knew how, she was a single Mom in my opinion, she had a husband that sometimes was around, so I always consider her single, she worked hard, her focus was to provide for us and she did her very best. At times we received food stamps and free lunch at school and I am so grateful now that she was humble enough to apply for it, instead of letting us go hungry or to allow us to go out and get in trouble looking for money and food. She did her best and today I know that. As I have grown up and now have grown children myself I am coming back to my original thoughts about my Mom, but in a different way than when I was a child this time I KNOW my Mom is Beautiful, Wise, Amazing & Hard Worker I admirer her today for doing the best she know how. I know my Mom loves me with her whole heart and only want well for me & today I can say the same for me about her. Thank you Mami, for being you, for teaching me to work hard, for all the love and patience you have had with me, for forgiving all the times that I have not been right with you, Thank you for being Beautiful, Wise, Amazing and a Hard worker. I love you Mami. Today we are going to chat on more than Poop. Why more than poop? Because we are body, mind and emotions and they all work together for our wellness. It has been my experience with my own health, when I am holding on to resentments, old hurts and fears it manifest not only in my emotions; it also shows up in my physical body. And of course I see that with my clients all the time. So, what are we to do to improve our quality of life once we know this? Begin by acknowledging that we have to work on letting go, then begin to become willing to let it go, we then can start making the changes that we are comfortable with & can be consistent on. If you are struggling with constipation right now, maybe we need to drink our daily water (1/2 of our weight in ounces of water a day), start juicing every morning, get colonics done, include some form of daily exercise, and make better food choices. I believe most of us know that we need to make better food choices, but we really don’t want to. Remember the definition of insanity is “Doing the same thing over and over again and expecting different results”. If you eat cleaner & healthier your body will respond in a positive way. That is the only way it can happen, our body was designed to heal itself with the proper nutrition and hydration. I see this again and again in my practice and in my own health. I see it in my clients when they decide to make changes to improve their health; their results are always for the better. So, this means that we need to Let Go of our old ways of doing our lives – yes, I said it, and it’s time for change. Time to let go of old resentments. Have you ever heard that holding on to resentments is like you taking the poison yourself and hoping the other person dies, well that is not going to happen right? So, on that note I would really encourage us to let go of old hurts & fears, if this means looking for professional help, do so. If this means making amends to someone that you have hurt, do so & very important to forgive those that have hurt us. The one that will benefit the most from all this is YOU. Remember we are body, mind and emotions. When we begin addressing our whole being we are on our way to Wellness. My prayer is that with this blog about letting go, we can all begin & grown in our transformation into Wellness. Once again I invite you to read our testimonials on our website www.innerhealthcarecolonics.com; they are very inspiring and motivating. My heart desire is that soon, our colonics here at Inner Health Care will be referred to as a great Letting Go Experience. Because they are. Help us by paying it forward, share this with any of your family and friends that you think would be benefit from it. Together we are strong, alone we are not. Today I want to talk to you about Different Ways of Letting Go. Yes, not everyone can let go the same way as another person, and sometimes we want and expect others to let go in the way we think they should. As we spoke on the previous blog, we cannot Control or Change anyone else but us. Let’s do a little self searching? How do you Let GO of anger or a dissapointment? yeah, when someone makes you mad or let’s you down, How do you Let it Go? do you hold it in? do you speak about with the proper person? do you write about it? do you surrender it to God? or maybe you convert it into a resentment? – In my practice and in my own health I have notice that many of our emotional issues affect us physically and that is what has inspired me to share via this blog. I want to encourage all of you who are reading this blog to remember that your Health of Body, Mind and Emotions is YOUR RESPONSIBILITY. So let’s begin to LET GO of all that is needed right now. Becoming willing to Let GO is a great place to start, you will see that every day it gets easier. I have noticed on some of my clients during their Colonic sessions, when they share some of those things that they have been holding in for a long time, what happens is that they are then able to relax much more and end up having great releases in their Colonic Sessions. Could it be coincidence? or could it be an effect from Letting GO? Let us know how this has helped you to begin your journey of Letting GO. I would even encourage you to write down your journey so you can see your transformation into Wellness & who knows you may even want to share it with your family & friends. You may be very surprised to see how much you will inspire others to do the same. To begin to Let GO. I also encourage you to see the benefits of Colonics, it really has a lot to do with Letting Go, its much more than Poop! In this blog we will share lots & lots about Letting GO. What does that mean you might be asking yourself? Well let me begin by sharing with you the definition of Letting GO. Go and begin practicing it. You will be the first to experience and notice that your life gets easier as you Let GO, your health will improve as you Let GO, Your mind will be more relaxed when you Let GO, Your relationships will become healthier and more balance when you begin to Let GO. We spend to much time holding on to so many things that we have absolutely no control over, the one that comes to mind first is “Other People” can we really change, someone else? Of course the answer is NO. And most of us already know this but we don’t want to accept it, so we try & try some more and all we accomplish by that is more stress, anxiety, frustration, depression, constipation and lack of energy for ourselves. It takes a lot of physical, emotional and spiritual energy to not Let GO. Not able to Let GO of old thinking patterns that no longer serve you. Not able to Let GO of family or friends that are bad influence for your progress. Not able to Let GO of family or friends problems. Not able to Let GO of addictions that are causing havoc in your life. Not able to Let GO of your adult children’s future, we think we know better, we forget they too have their own path to walk. We can now be their cheerleaders! Not able to Let GO of past hurts, which prevents you from enjoying your beautiful present. I pray that I was able to encourage you to begin being willing to Let GO, as you become aware of the need to Let GO & allow yourself to become willing, it’s magical, little by little you begin to start Letting GO. Life gets better, you will feel lighter, you feel happier, and you will feel joyful. It does not matter how little you Let GO, just start NOW. We will be talking more about Letting GO. Let us know how this has helped you? How are you feeling now that you are Letting GO, What changes have you seen in your daily life? Also I invite you to read on the benefits of Colon Hydrotherapy, it’s a great way to begin to Let Go of old waste in your body. Read my Bio on the “About” page. Talk to you soon.